If you want to learn how to ensure the effective delivery of services, this course is for you. This three-day course introduces you to the CMMI for Services (CMMI-SVC) model, which is a comprehensive set of guidelines that helps organizations to establish and improve processes for delivering services. The course provides the knowledge you need to begin using CMMI-SVC in your organization. This course is a prerequisite for any certification or subsequent course that calls for an Introduction to CMMI requirement. CMMI-SVC adapts and extends proven standards and best practices to reflect the unique challenges faced in service industries. This set of guidelines also serves as a practical framework for achieving superior service quality, controlling costs, improving schedule performance, and ensuring high levels of customer satisfaction. 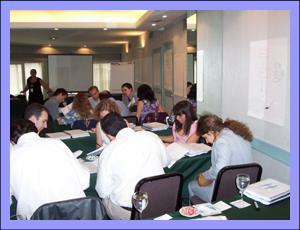 The course is highly interactive and composed of exercises, discussion, and presentations. After attending the course, you will be able to describe the CMMI-SVC model, apply the model’s process areas, and locate information in the model. On the first day of the course, participants will receive a copy of the CMMI for Services model and a course notebook with copies of the course slides.